It seems to get to this point of the year where everyone starts slipping in to autumn/ winter mode as all the brands release their new collections and the weather considerably goes down hill aka now. I for one, certainly have the AW15 bug. Now don't get me wrong I do love the sunshine, but the thought of layering up outfits, wearing cosy coats, knits and living in boots is quite appealing. A new season also means, a new reason to go shopping. This year I told myself that I would get organised and buy a coat before we actually hit the cold-er period because usually I find the perfect coat and then those god awful words appear, yep you know it, 'SOLD OUT' aaaaaargh. 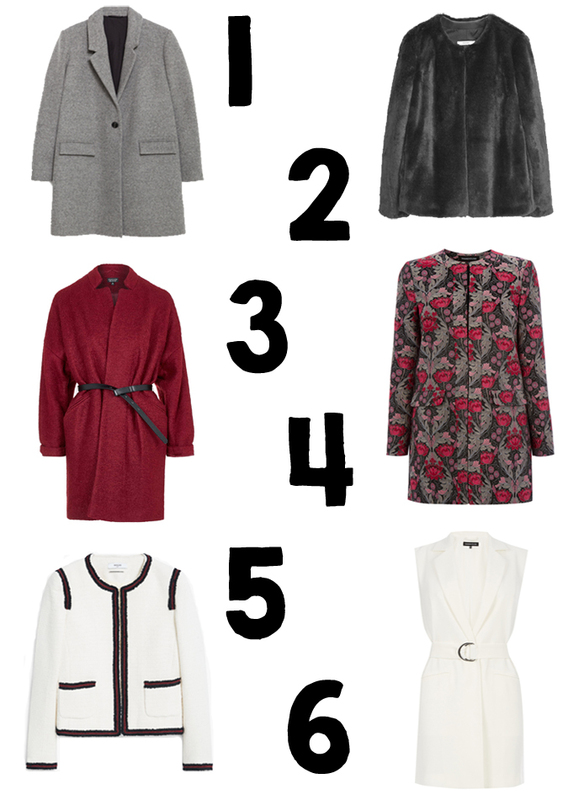 I've gathered a selection of rather lovely coats and jackets currently on the highstreet..
Let me know your thoughts? !